Halle-and Hunneberg are the most westerly located tableland mountains in Västergötland. They differ from the other mountains both in climate as well as geology. Below the precipice the local climate is rather favorable while the tableland mountains have a much cooler climate, which can be detected in plant and animal life. The closeness of the mountains to the coast and toLakeVänernmakes for a more humid and even climate than what is the case on the rest of the mountains in Västergötland, where more of a continental climate gives them warmer summers and colder winters. Wrapped like a cloak around much of the mountains of Halle and Hunneberg lie a deciduous forest. The forest is thousands of years old. Here, one can experience the most amazing nature, with plants such as ivy and sweet woodruff and birds such as hawfinch and nutcracker. 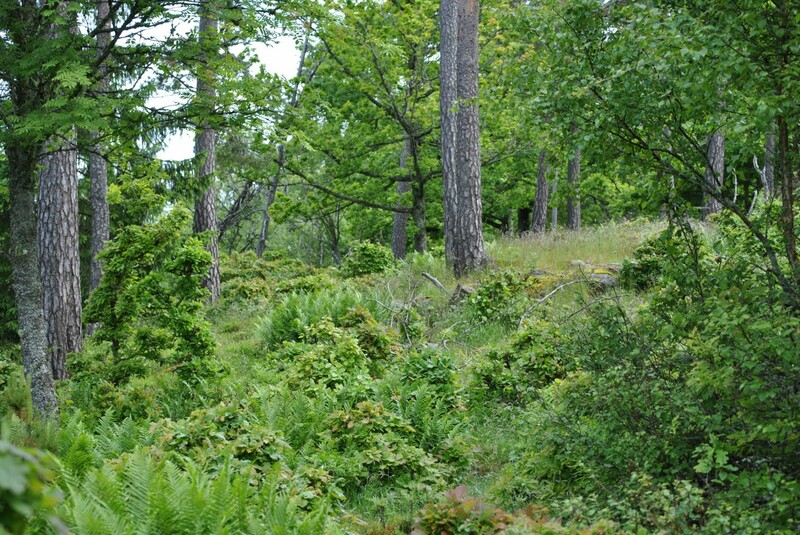 Nowhere else in Sweden can so many lichens of the deciduous forest, under threat of extinction, be found as below the precipices of Halleand Hunneberg. 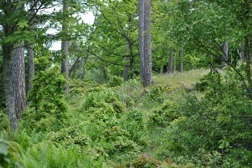 The forest along the precipices of Halle and Hunneberg is unique. Most of it is a mix of old pine and oak trees. Many of the trees are more than 200 years old. The forest is greatly affected by the meager soil and the unique climate with harsh winters. The tableland mountains are a mosaic of pine-forest and swampy grounds. There are plenty of elks andred deer. 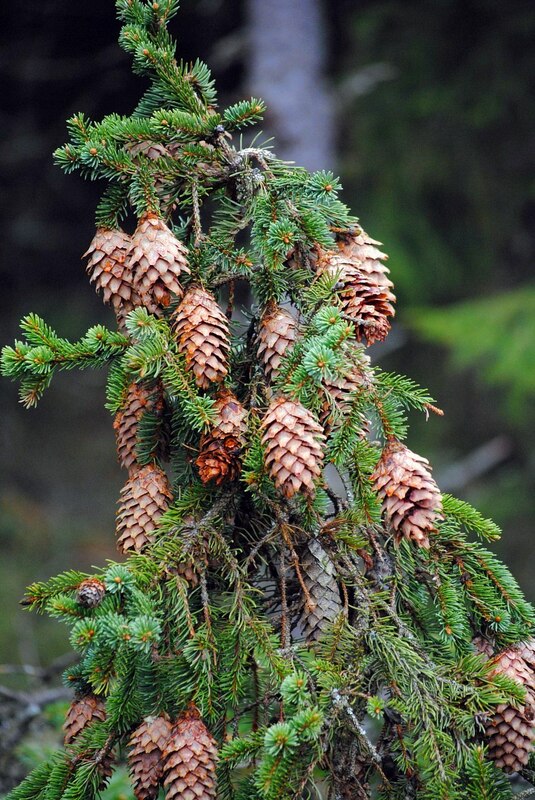 The fields used for cultivation around the old crofters' holdings allow for light to come into the pine forest.